The guide describes the features of PhoneTrans pro. It is specializes in transferring a variety of files and provides an easy way to help you transfer and manage all iPhone personal info and media files to PC/Mac, to iTunes or to iPhone. 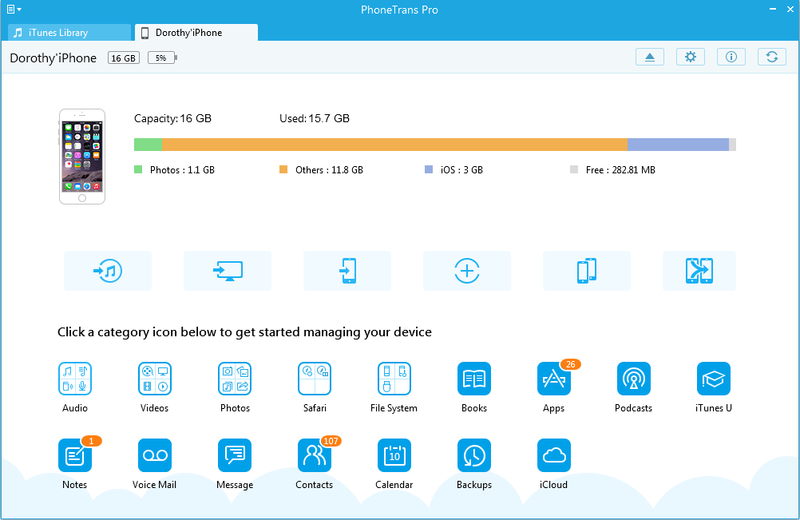 Welcome to PhoneTrans Pro Overview Interface. 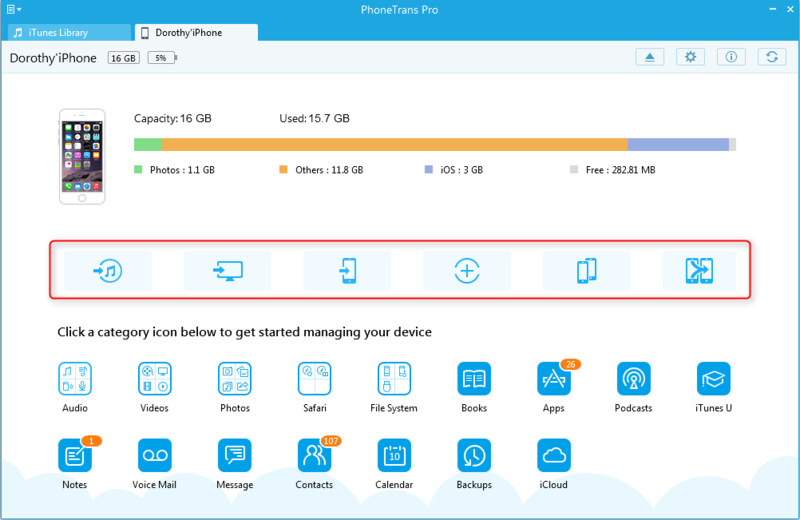 If you connect an iPhone, you will see the main interface of PhoneTrans Pro. Most of buttons you use with PhoneTrans Pro are crucial ones on the main interface overview. It helps you transfer files as easy as pie.